Braddock and his crew flying a Lancaster bomber on a night mission over Genoa, Italy. Please note this is a work in progress page. Page last updated March 2018 with new scans of Braddock and the Traitor Squadron. Scans provided by Jamie Stripe and can be found towards the bottom of this page. Thank you. 1964; 1965; 1966; 1967; 1968; 1969; 1970 posted to a Lancaster squadron end of 1943); S1976, (artist not Shone); 1981? (artist Shone); 1984 (not Shone artwork). 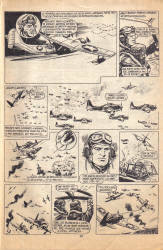 1 - 28 Title - I Flew With Braddock. 29 - 45 Title - Braddock V.C. (series continues where the last finished). 58 - 70 Title - Braddock V.C.  (series continues where the last series finished). 98 - 124 Title - Braddock and the Flying Tigers (1942; attached to a Pacific U.S. Task Force). 151 - 165 Title - Braddock V.C. (Flying Beaufighters against German mine-laying aircraft). 169 - finishes after 185 Title - Born To Fly. (1939; How Braddock learned to fly). 204 - 220 Title - Braddock - Marksman With Bombs. (1939/1940 operating from RAF Midlington). starts 261? - finishes after 269. Title - In Battle with Braddock. (1942). 309 - 323 Title - Braddock on the Bust. (1943, flying Lancaster bomber from Barminster airfield). 362 - 380 Title - Braddock of the Rocket Squadron. (1943). Starts prior to 418 - ? Title - Braddock and Ocean Wulf. (November 1941). 764 - 778 Title - Braddock Joins the Chindits (Burma, behind Jap lines; no Sergeant Bourne). Please note that the above is not a complete list, other series to be added in due course. Writer:- The Victor editorial team. Artists:- Keith Shone; and several unknown artists. Main cast:- Sergeant Matt Braddock; Sergeant George Bourne. Time period:- The Second World War. One of the greatest World War Two British comics characters was Sergeant Matt Braddock, the scourge of all spit and polish officers and tin-pot non-commissioned officers, (NCO’s). Braddock was a no nonsense character who hated authority figures who were more interested in ensuring that the war was run according to the rule book as opposed to fighting the war. Even though he fell foul of many senior officers, he was usually saved from being court-martialled by very senior officers who like Braddock didn’t care how the war was fought, as long as it was fought. (Braddock was court-martialled in almost every series). Sergeant George Bourne was his navigator and friend in many adventures. 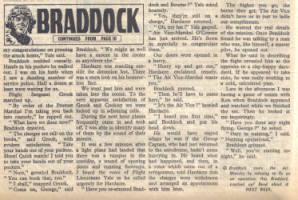 The Braddock stories had originally appeared as text stories in the Rover and Wizard text comic. For a synopsis of each Braddock story that appears in the Victor please refer to the Victor Index via the button below and search for Braddock#. 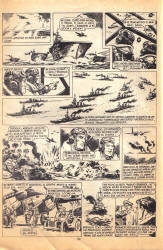 Rover & Wizard 31st Dec. 1966.
the Victor issues 1 (the very first pictorial Braddock adventure), 3, 5, . Note other episodes to be added in due course. The below episodes are from the series I Flew With Braddock. 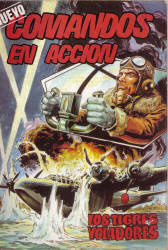 On a recent trip to Barcelona, I visited a weekly book and comic fair, where I bought a Spanish copy of Red Dagger 12 Braddock and the Flying Tigers. The front cover and three pages have been reproduced below. For those of you those Spanish is slightly rusty (mine's seized solid), the English version is produced below the Spanish version. There are possibly other Red Daggers that have been published in Spanish, but at the moment I have no other details. The front colour cover below for the Spanish version of the story might be the same as the British version, on the other hand it might not be! I've no confirmation on this as yet. 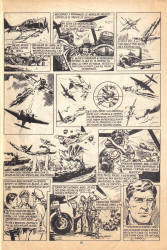 The episodes below are from a Braddock series that was published in the D.C. Thomson Warlord comic. This appears to be a story that wasn't published in the Victor. Artwork is by Shone. My thank to Jamie Stripe. for the scans. Episode below from Warlord 28th June, 1975. Episode below from the Warlord 05th July, 1975. Below - from Warlord issue 44, 26th July, 1975. Front cover illustration by Shone or Bevan? Text © Adrian Banfield, 2011.